The eighth installment from ACDSee has been released and boasts a range of new features including Pixel Targeting, PicaView, 1-step EQ, Gestures and Auto Lens View to name a few. There's also improvements been made to existing technology on previous versions. In this full review, we take a look at the new and improved features. 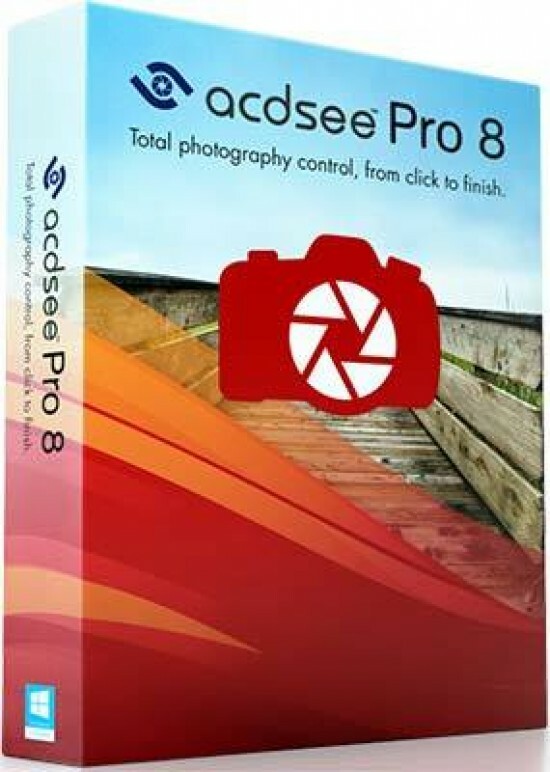 Pro 8 costs $199 and is available to download from the ACDSee website. Downloading from the ACDSee website takes only a few moments to get the preliminary files. Downloading from those took us up to 25 minutes and actually installing the program onto our computer took just a couple of minutes. Upon launching Pro 8, you'll be given the chance to input an activation key if you've bought the product. However, click Trial if you're seeing if it's for you. We input the code, logged into our ACDSee account and the program opened. It immediately detected a previous version (from when we reviewed Pro 7 in July 2014) and opened up the Convert tool to transfer the database from Pro 7 to Pro 8. However, it's non-destructive and won't delete your Pro 7 files. One push of a button operates the Convert tool and the whole operation took us around 2 minutes. There are 11 new features in Pro 8 including Pixel Targeting, PicaView, 1-Step EQ, Smart Indexer, Edit Mode Fill Tool, SeeDrive, History Window, Gestures, Filters, Auto Lens View and Auto EQ. As with Pro 7, the program is split into five sections with the Manage section being the opening page. 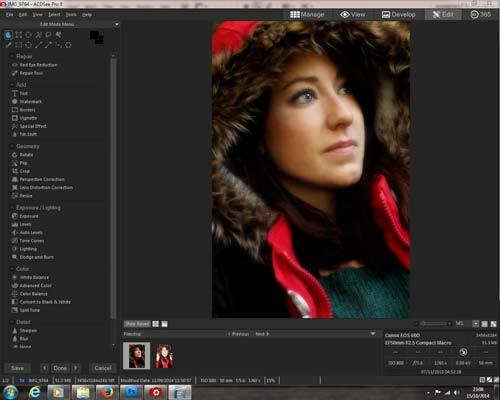 From here, you can navigate to a folder of images you want to edit. To the right of the thumbnail images - which come up when a folder containing pictures is opened – you can edit the metadata, categorise and view picture details. Basic shooting data is in a small box to the right under the navigation box, but has been pushed to the bottom to make way for the new SeeDrive feature. 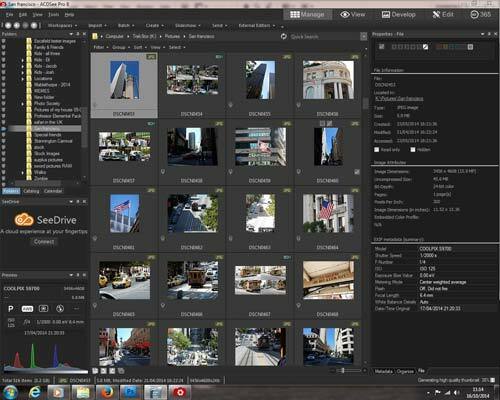 SeeDrive gives you immediate access to pictures you have online. You sign using an ACDSee 365 account. You may already have one if you're a current user of ACDSee tools. 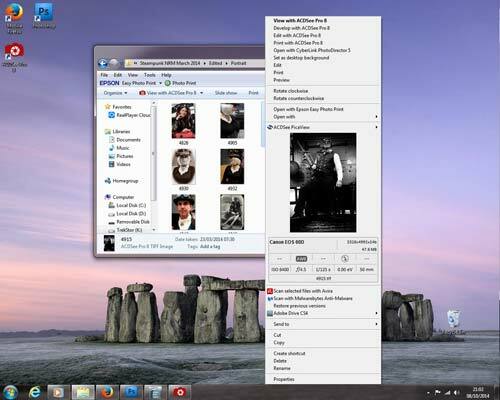 It allows you to control the privacy of your pictures and share them with others without having to log in on a webpage. The View page is a simple layout of just the picture you highlighted in the Manage page with a neutral surround for less distraction. Thumbnails of the other pictures in the folder line up in a ticker at the bottom with the camera settings in a small box to the bottom right of the screen. If you want to do some global work to your pictures, you need to load it into the Develop screen. It's essentially the same as the View screen except you get a load of editing tools down the left side of the preview image. The rest of the folder is still shown as a ticker along the bottom. In this page, you can alter the overall feel of the picture by adjusting values such as White-balance, Curves, Lighting as well as a General area that holds the Contrast, Saturation and Exposure sliders among the list. A nice touch in this is that as you click each plus icon to open a tab, any previous tab you had open will close automatically. This keeps the tab you want to use right in front of you. 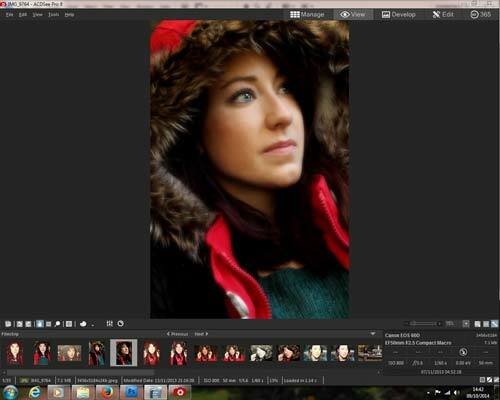 For more localised treatment of your pictures, you need to flick into the Edit tab. If you're a current or past user of Photoshop, you'll recognise the icons here as well as some that are also available in Paint Shop Pro. Each tab is defaulted to open so they're easy to navigate, but if you discover that you don't like that or, over the tests of time, you simply don't use one of the tabs, you can close them down to constrict the worktop area. As we mentioned, the Edit page is for more localised editing and with Pro 8 you can really get in close by using Pixel Targeting. It allows you to make changes to tones and a colours which is useful if you have a tricky edge, such as changing the skin tone of a portrait means you won't have to mask the hair. There are 16 individual edit modes to choose from as well as any of the Special Effects that you can utilise the Pixel Targeting feature. 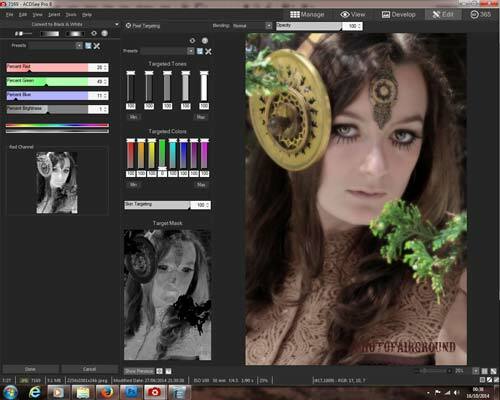 Clicking on one of the available features, such as Colour Balance, brings up the dedicated workspace. Above the preview image is the Pixel Targeting button. 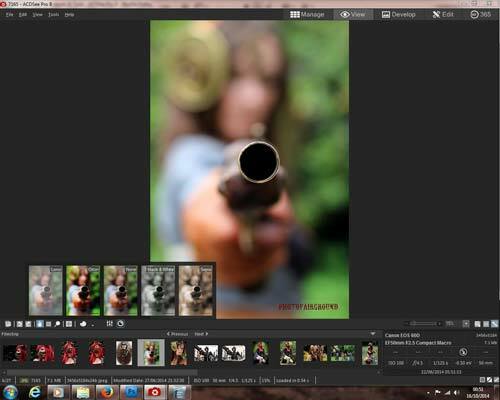 One of the more fun features new to version 8 is the Auto Lens. It allows you to preview your picture through different types of lens. These include Lomo, Orton, Black & White and Sepia. You might contest that these aren't types of lenses and are in fact styles of photography, but the idea is there. 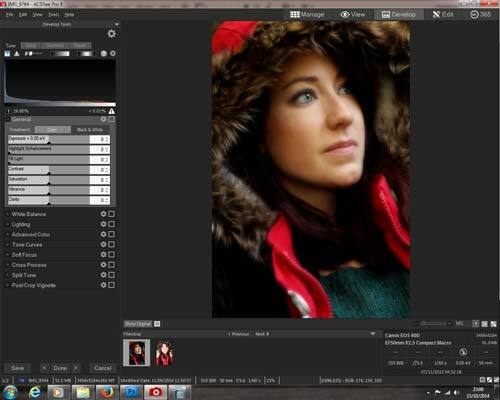 It's also a quick way to apply filters and see what your pictures will look like with them.